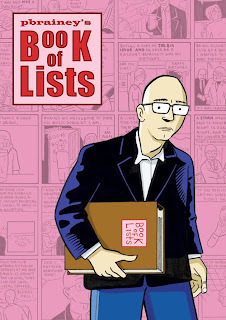 Richard Bruton reviews Book of Lists on the excellent Forbidden Planet blog today. "The Book Of Lists is a strange reading experience, but it works rather well. Rainey’s confident and honest enough to not hold back the details of his life that others may not want the world seeing and by doing so he’s created something remarkably interesting and engrossing. But most importantly, he’s a very funny writer who can raise a smile on a great many of his pages." I'm on on the radio again! This time talking to Dickon Harris mainly about Book of Lists and partly about There's No Time Like The Present. You can listen to the show live on Resonance 104.4 FM in London or streamed here at 8 PM tonight. It will also be podcasted here. I'm delighted to be able to confirm that an actual reality Book of Lists book is in production. The book will collect all completed comic strip lists so far in colour. It will be 112 pages long and feature over fifty strips including fourteen that have previously only been available to see online for a single day and not been assembled into strips until now. 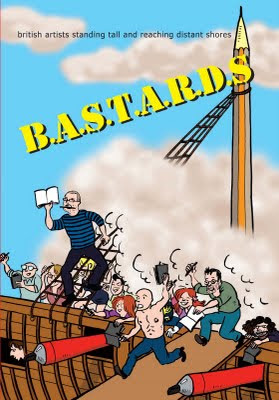 I am currently putting the finishing touches to to the book so please pop back here for news as it becomes available. In the meantime, here's an illustration I'm using as part of the cover. I recently drew a one off strip called One Man Gang of Lads. Please click on the image below to read it in it's entirety. After Richard Bruton's very encouraging review of There's No Time Like The Present published so far on the Forbidden Planet blog last week, yesterday he looked at the rest of my output over recent years including actual reality comics Dear Robert and Partner, Telephone Thing and Swill the Alien (all of which are still available to buy from Forbidden Planet and the shop). He also looks at my online content Book of Lists, Goddard and Prisk and The Doctor Kyle Show. "It’s an impressive body of work indeed", says Richard. Well, it's a body and it's been work so who am I to disagree. Read the review here. Richard Bruton writes a generally positive and, let's face it, very astute review of There's No Time Like The Present parts 1 to 8 for the essential Forbidden Planet International blog. Richard, amongst other things, makes clear the benefit of reading a block of issues at a time. 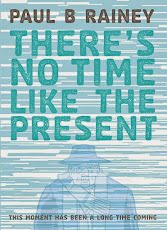 You can read the review for yourself by going here.If you're visiting this site for the first time as a result of Richard's review then the opening 39 pages of There's No Time Like The Present can be read online for free here while copies can be ordered from the shop or from Forbidden Planet if you prefer. 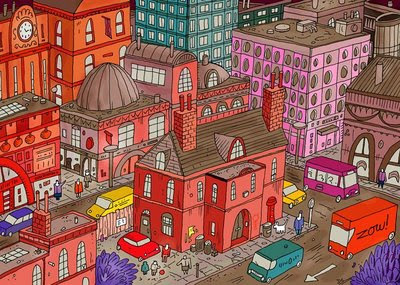 Josie Long is curating a mini festival at as part of the N20 festival at the Battersea Arts Centre next week from Monday 9th of February to Thursday 12th. Each day, there will be a performance of an Edinburgh show, a variety stand-up act and a band. As well as this, there will be permanent fixtures such as a mini-cinema club and the opportunity to buy comics, including mine, from Nathaniel Metcalf. For more details, please visit the BAC website or, if you're on Facebook, go here. There I was, yesterday, happily reading this interview with Darryl Cunningham on the Forbidden Planet Blog, thinking to myself, "I'm going to save that picture (low res version below) and use it as my wallpaper for a while", when in response to a question about what comics he's been enjoying recently he responds, "At Caption I picked up copies of Paul Rainey's There’s No Time Like The Present. This is an ongoing series which I can’t believe doesn’t get more attention. It’s wonderfully drawn. It has rich characterisation. It’s funny and has an intriguing plot. It’s domestic and naturalistic in its style, but it also has a surreal science fiction edge. Imagine a well-written comedy-drama, set in modern Britain, where people from the future are inserting themselves into our society by setting up businesses. The BBC should snap this up." Another cartoonist, Rob Jackson, whose work I also enjoy, wrote about TNTLTP part 8 back in November. "There’s No Time Like the Present Part 8 is another excellent read in this series." As you know, one cartoonist can be wrong but two? It's impossible. So, why not visit The Shop and buy a copy.